In the United States, Steampunk rose to prominence in the latter part of the first decade of the new century. At that time many people began to feel concerned about losing their privacy through a myriad of new security schemes, their security due to a plummeting job market and economy and, though in light of the former, seemingly less serious, increased awareness that a licensing agreement for software and hardware that had given ownership to items purchased by individuals, to the corporations that had manufactured them. 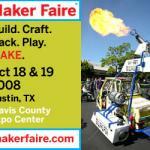 The Maker movement also gained traction during this time and it is not unrelated. Many people who were tired of the system and unhappy with the future it indicated, took to their workshops to make their own future. Make it, they did. People began to learn how to grow their own food, raise poultry, keep bees, use gunpowder, cure meat, sew, weld, woodwork, can, preserve, and various other skills that had been out of the public production as mainstream knowledge for the better part of a half century. Steampunks were a part of this movement. Many Steampunks who were interviewed during the better part of two years, expressed frustration with current society and desired a return to a better time that could be imagined, where things were more "civilized." 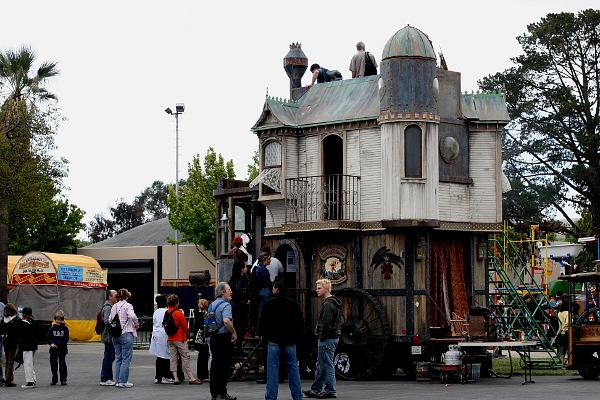 Many Steampunks I interviewed were refugees from the Goth movement. The most frequent reason for defection was that they were "tired of the rules of Goth" that were "very strict" regarding what one could wear, listen to, or speak. This was not unlike how some people were seeming to feel during decade following 9/11 in the United States. This series explores the nature of making as an escape from extreme structures and social expectations, through the lens of the Steampunk movement. 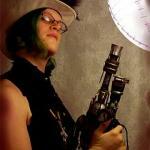 During the course of two years, I researched and spent time with Steampunks. The most notable finding was that they were not part of an isolated movement. Indeed, Steampunks were also members of groups like Makers, The Society for Creative Anachronism, Civil War Re-enactors, Goths (and former Goths), New Space pioneers, and other groups. The added layer of predictability of both Science and mechanical components within Steampunk and the Maker Movement and the finite predictable behavior of mechanical technology, may also explain the desire, at the turn of the new-century (2001) for a subset of the culture to retreat to the dreams and predictability of the previous one as a basis for imagining what could be. Steampunk, while it incorporates nostalgia, is not a “Retro” movement. Its differing factor is that Steampunks do not return to the past and live the life as it was, they want to go back to re-imagine the past’s future–and live in that in the present. They re-imagine a future that includes beauty, manners, elegance, innovation, and steam and to a large extent, they are making it.